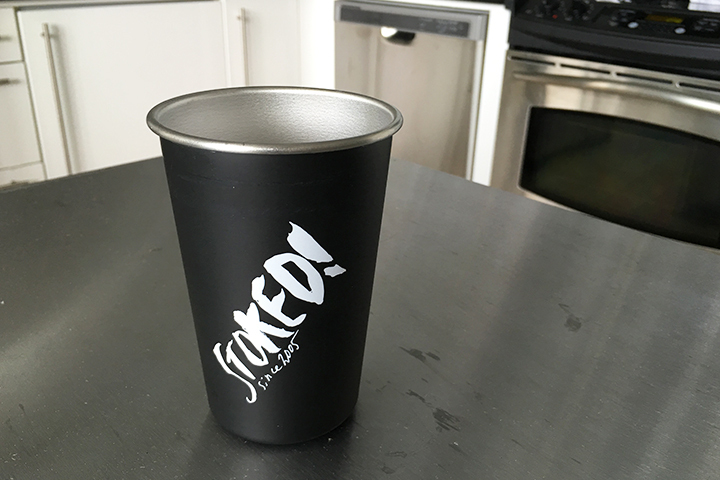 When our client came to us looking for a modern, sleek, metal pint glass, we came up with this rendition featuring an all metal construction, with a matte black exterior and brushed interior and a single color screen printed logo on two opposite sides. We can print on anything, from cups to shirts, as well as pens and banners. Contact us today at 305.680.8665 via call or text, to speak to a representative who can help you get your art properly prepared, products picked out and order placed.